Excellent Dyna 75 Laguna now available in Docklands. In good condition this Dyna 75 with sky lounge is a great entertainer and well worth a look. Luxury interiors with separate dining aerea for 12 people. Relax in the interior lounge area with 50'' HD Samsung Tv with Bose Surround system. Or enjoy a memorable sunset in the alfresco cockpit or a bbq with family and friends. The sky lounge is fully enclosed with its own entertainment audio/video system. 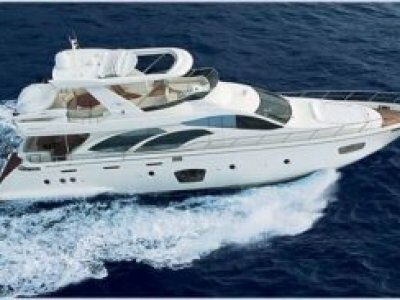 With 4 staterooms plus crew quarters this vessel will comfortably and economically cruise at 22 knots. Twin gensets and solid inventory. Bow and stern proportional thrusters for easy docking. 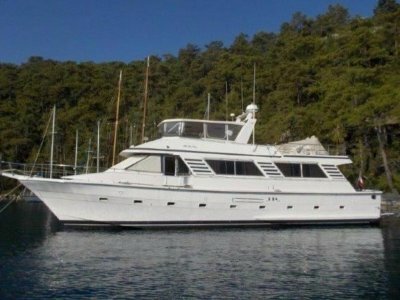 Huge cruising range and with a very good internal fitout makes this a vessel well worth looking at. 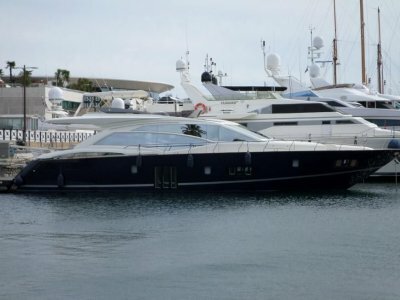 Please call Premier Yachting on 03 9041 6335 to get the full brochure and inventory of this vessel. 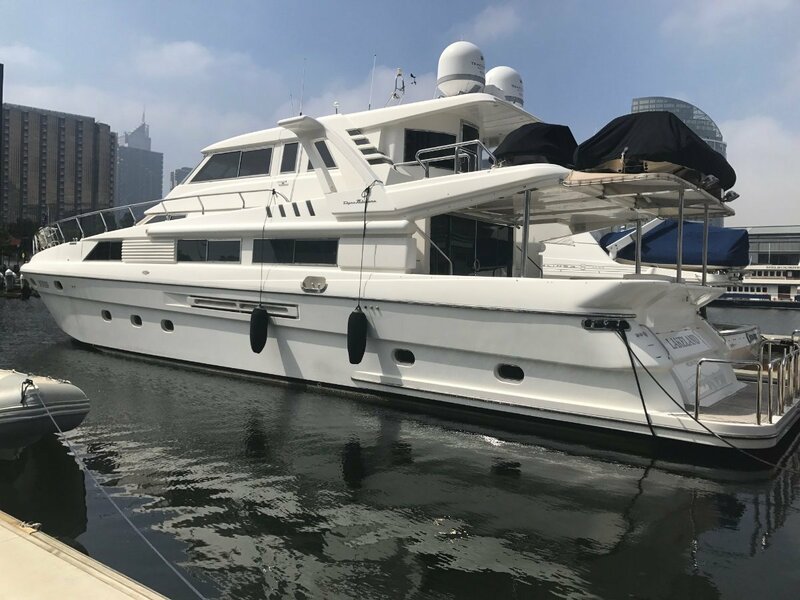 Located in the heart of Melbourne's marine precinct, we are Docklands premier yachting, power and motor yacht dealer and exclusive agents for Azimut yachts, Sessa Marine, Sessa Key Largo, Fairline and Horizon motor yachts. 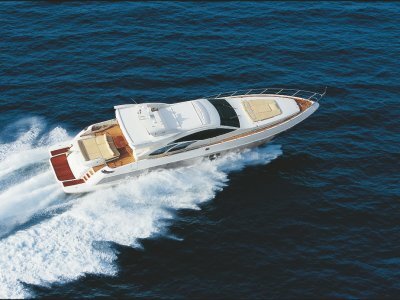 We also deal with all other major motor yacht and power boat brands, including Princess Yachts, Benetti, Sunseeker, Riviera, Mariner, Maritimo, Dyna Yachts, Absolute, Sunrunner, Mustang, Bayliner, Caribbean, Chris Craft, Riva, Ferretti Yachts, Pershing Yachts, Beneteau, Jeanneau, Prestige Yachts, Meridian, Carver, Sea Ray, San Lorenzo Yachts, Monte Carlo Yachts, Cranchi, Cobalt boats, Regal, Mengi Yay, Grady White, Boston Whaler, Luhrs, Elan, Blackwatch, Bavaria power, San Lorenzo, Overmarine, Fillipetti, Ferretti, Rossi navi and many more.